Highest Honor | News and Features | Style Weekly - Richmond, VA local news, arts, and events. For Trebicka, this experience fueled her passion to understand the origins of ethnic conflicts. 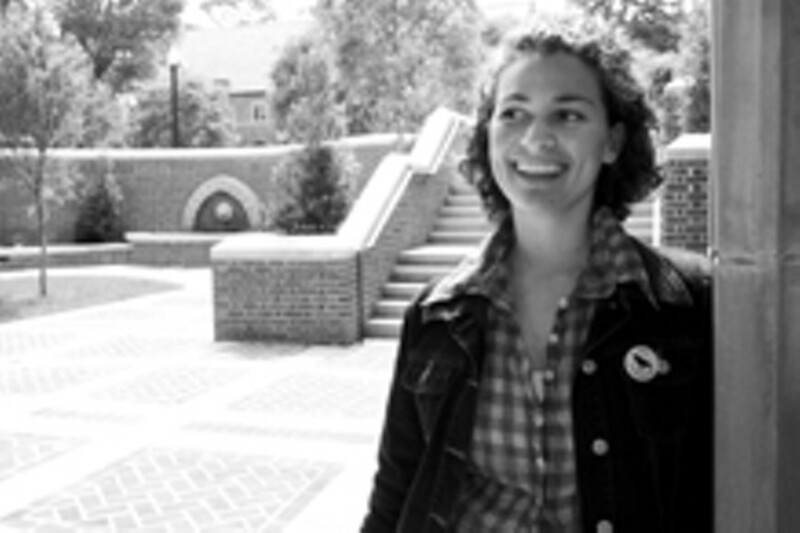 As a University Scholar, the recipient of one of the University of Richmond’s few merit scholarships, Trebicka was free to design her own major, allowing her to fully immerse herself in the study of interethnic conflict. Her hard work has paid off. Trebicka’s research has been showcased at the Arts and Sciences Symposium at UR, as well as the Mid-Atlantic Slavic Conference at Columbia University, where she was the only undergraduate presenter. Three weeks ago, Trebicka was awarded Richmond’s David C. Evans Award for Outstanding Achievement in Scholarship for her work. And although her last exam was due Friday, she still has one more duty to fulfill at Richmond. As the Most Outstanding Student of 2004, Trebicka will carry the University Mace as she leads her class into the Robins Center at Sunday’s graduation. Having her name inscribed on the mace is one of the highest honors that can be bestowed upon a UR graduate. It’s a fitting tribute for someone like Trebicka who shines both academically and in character, says Juliette Landphair, dean of UR’s Westhampton College. The biggest honor, Trebicka says, will be having her parents in the audience to watch her graduate May 9. When Landphair heard that Trebicka’s parents would not be able to attend the ceremony for financial reasons, she quickly searched for ways to raise funds to cover their travel expenses from Albania. In addition to her devotion to her studies, Trebicka has fully immersed herself in Richmond student life, participating in Mock Trial, the Women Involved in Living and Learning Program, and the International Club. She is the president of Omicron Delta Kappa, an honor fraternity, and founder of UR’s fencing club. On the advice of one of her teachers, Trebicka applied to UR despite her inability to pay tuition. “I cannot be more grateful to this university for making it possible for me to come,” Trebicka says. But she’s far from done. After a weekend of graduation festivities, Trebicka plans to throw herself right back into her studies. “My lifelong goal is to transform interethnic conflicts into something useful,” Trebicka says. She will spend this summer teaching and translating for students in Kosovo before beginning her next challenge in the fall: Harvard Law School.